If you are looking for NHI Massage Therapists to work with you as an employee, extern or participant in a special event you’ve come to the right place. 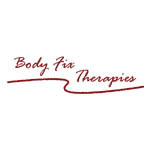 Are you in need of awesome massage therapists? Post a job opportunity for our students & alumni to apply. Do you have an upcoming Special Event? Post a Special Event for students & alumni to participate in. Are you looking for externs? Post an Externship opportunity for our students to participate in.